In this video Yusuf Estes discusses some of the events that will lead up to the return of Jesus, and major events that will take place after his return. Messengers can not be God! Their is no deity worthy of worship except Allah! "Don't die except in the state of Islam!" 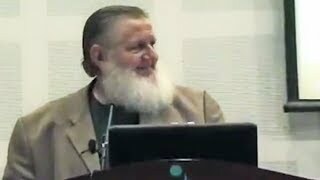 Yusuf Estes was born in the mid-west United States 1944 to a religious Christian family. They to Houston, Texas in 1949 where he grew in the Disciples of Christ and was baptized into the church in 1956. Over the years he completed his studies in music and became a music teacher, well known entertainer and businessman and finally a music minister calling people to the Lord with his music and Bible. During his business career he built up a chain of music stores and even had his own television series called the "Estes Music Jamboree". He and his father owned businesses and worked together in spreading religion and politics, all at the same time. They both served together on the Texas Governor's Conference for Business Leaders during the early 1980's. Sheik Yusuf also owned expensive homes, cars and boats and at one point he even owned airplanes and had become a dealer for Cessna Aircraft. Although he had great wealth, Sheik Yusuf continued to seek the Lord while calling people to Jesus and Christian salvation. His first encounter with a Muslim occurred in 1991 when his father introduced him to a man from Egypt. When he discovered the man was a Muslim he began immediately trying to convert him to Jesus and join the church. However, the Muslim brought about a new understanding about the world's fastest growing religion and a real awakening to true Islam. While trying to convert the Muslim to Christianity Sheik Yusuf learned an important lesson about life, religion and God Almighty: You do not guide the one you love, but it is only God Almighty Who Guides to His Way, whomever He Wills. After three months of debates and dialogs with the Egyptian he watched as a Catholic priest friend of his, Father Peter Jacobs, accepted Islam and became a Muslim near Dallas, Texas. Then he, his father, his wife and children all became Muslims. 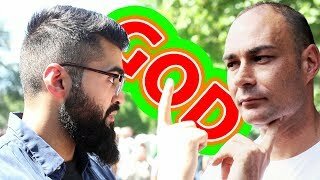 Since then he has been studying Islam, Arabic language and the Quran while working day and night to present the correct message of Islam both to Muslims and non-Muslims alike. His research has taken him to many religious institutions and scholars around the world, including: Egypt, Morocco, Pakistan, Saudi Arabia, Kuwait, Sri Lanka, Bahrain, Turkey, Australia, England, Ireland, Scotland, Denmark, Sweden, Canada, Mexico, the Caribbean, Trinidad, Tobago, Dutch Antilles, Barbados, India, Qatar and the list goes on. He has been called upon by the United States Bureau of Prisons to present Islam as Muslim Chaplain to inmates in Federal Institutions all around America until his retirement. He has also served as Muslim Delegate to the United Nations World Peace Summit for Religious Leaders. He has authored books, established many websites, instituted live web-casting and video conferences while traveling around the world presenting Islam in his simple, yet direct approach to easily understanding what has become to be known as the " most misunderstood religion in the world". His presentations have helped people around the world to grasp the correct concept of God, Worship, Beliefs and Teachings of Islam. Even born Muslims have said his presentations have been instrumental in helping them personally understand Islam. 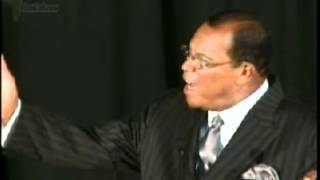 Millions of others now see the light of truth in Islam through his television programs, DVDs, CDs and internet websites. Many thousands have accepted Islam at his hands since he came to Islam.